Nearly a century ago, a sitting Texas governor was indicted for allegedly playing politics with public money and yanking funding from an institution. Sound familiar? Nearly a century ago, a sitting Texas governor was indicted for allegedly playing politics with public money and yanking funding from an institution. A Travis County grand jury's allegations on Friday that Gov. Rick Perry improperly threatened to veto funding for the state's anti-corruption prosecutors marked the first time since 1917 that a Texas governor was indicted. That year, Gov. Jim "Pa" Ferguson was indicted by a Travis County grand jury on allegations that he meddled with the state's flagship university amid a squabble with its board of regents. In Ferguson's case, he vetoed $1.8 million over two years (about $34 million in today's dollars) for the University of Texas; in Perry's case, it was $7.5 million for the public integrity unit, which is overseen by Travis County District Attorney Rosemary Lehmberg. After Lehmberg pleaded guilty to drunken driving, Perry threatened to pull state funding from her office unless she resigned. Ferguson's indictment led to impeachment by state legislators in September 1917. That's highly unlikely for Perry, a lame duck with an overwhelmingly conservative Legislature who is facing felony charges for his threat — one he made good on — to veto funding for of the unit charged with investigating public offices in Texas, including that of the governor. But there are striking similarities. 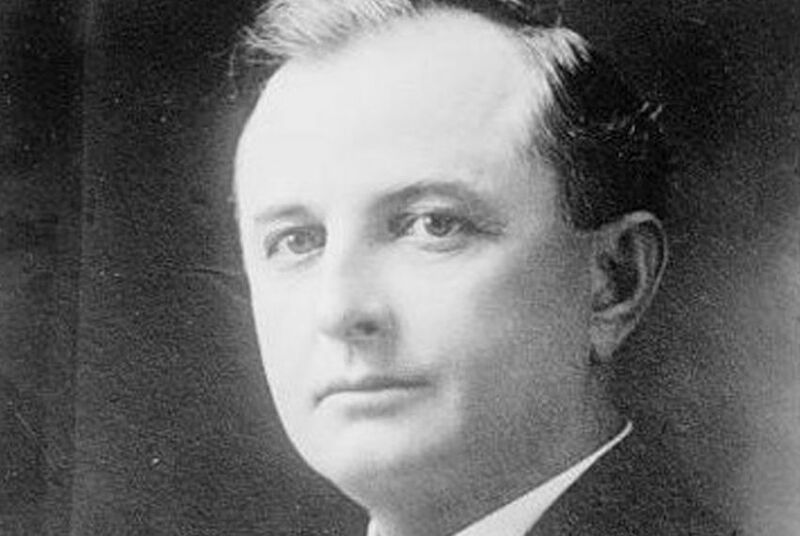 Ferguson, a Bell County native who worked as a rancher and a banker before becoming governor in 1914, got in trouble for trying to remove public officials who had opposed him. Two of the articles of impeachment that removed Ferguson from office accused him of having "invaded the constitutional powers of the [University of Texas] board of regents" and "sought to remove regents contrary to law," wrote Cortez Ewing in the journal Political Science Quarterly in 1933. Ferguson's veto of nearly all of the university's legislative appropriation also prompted outrage, though he was not impeached on that point. And the regents were goading a legislative investigation into embezzlement of state funds and improper campaign finance by Ferguson, while today, some believe Perry wanted the public integrity unit gone because it was investigating possible corruption of state programs — including the Cancer Prevention and Research Institute of Texas. Perry has adamantly denied that, saying that he was entirely motivated by Lehmberg's bad behavior. Ferguson, like Perry, had a difficult relationship with the University of Texas; his veto occurred after months of battling the board of regents, which refused to get rid of six professors he didn't like. He resigned the day before the Legislature's impeachment panel was to hand down its final judgment in September 1917. Politics and the courts have changed a lot in the last century, said James Haley, a Texas historian who has written a biography of Sam Houston, so it would be remiss to assume Perry will meet the same fate as Ferguson. Haley — who said he periodically gets calls from the governor, a history buff who likes to talk about state trivia — said he would be shocked if Perry's charges stuck or seriously slowed his political ambitions. Ferguson took every chance he got to restart his political career, running unsuccessfully for president in 1920 and for U.S. Senate in 1922. After the courts threw out his attempts to invalidate his impeachment, and therefore his disqualification from running for office in Texas, he played another card: His wife, Miriam “Ma” Ferguson. She ran for Texas governor in 1924, and despite opponents’ attempts to defeat her candidacy in the courts — two of their arguments, according to Ewing: “that she was a woman” and “that she was a married woman" — she ended up becoming the first female governor of Texas. Haley attributes that success to a wave of populism that benefited both Fergusons. Immediately after Pa Ferguson vetoed UT’s funding, he went on a campaign tour, at that point still attempting to run for a third term. From Abilene to Kerrville to Sweetwater, he gave speeches vowing to abolish fraternities and ripping apart university faculty, calling them “educated fools” and “two-bit thieves.” A self-made man with a sixth-grade education, Ferguson had long made well known his hatred for UT as the creator of nothing but an “indefensible aristocratic class,” wrote Ewing. Ferguson worried about spending too much money on education that wouldn’t reach the masses, and he felt university officials needed to be more accountable to the governor’s office. When Ma Ferguson took office in 1925, her term was “largely to vindicate him,” Haley said. “She had his desk moved in with hers [at the Capitol]. So they were virtually co-governors.” Not coincidentally, that same year, the Legislature would pass “The Amnesty Act of 1925,” pardoning anyone in the state who had been previously impeached. The Texas Supreme Court later threw out that law, and more scandals prevented Ma Ferguson’s re-election. But she was successful in getting elected governor of Texas once again in 1932, which Haley said was possible because of the extraordinary politics in the country in the midst of the Great Depression. Correction: An earlier version of this story incorrectly said that Gov. Jim Ferguson vetoed the entire legislative appropriation for the University of Texas. It should have said that Ferguson vetoed nearly the entire legislative appropriation for the university.